We put up our lights (internal - I despise crawling around on a ladder in the cold - that's just dangerous), our stuffed and glass Christmas doohickeys, and our faux tree. 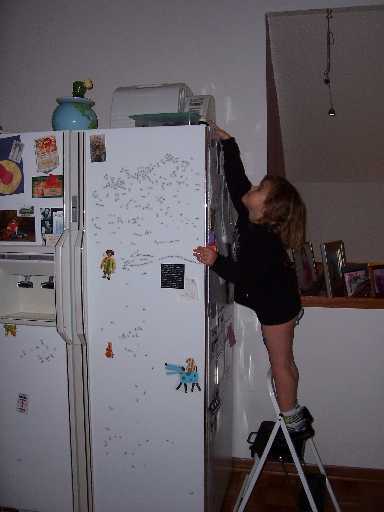 Here's Eryn hanging one of my Marvin the Martian ornaments. This picture, with its cloth and string ornaments is deceptive - our tree is littered with Halmark ornaments - one for every year for everyone. 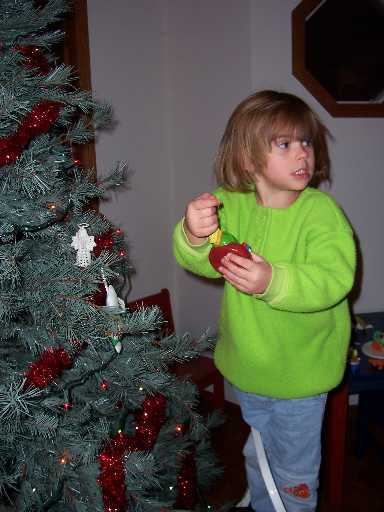 We could probably decorate two trees if necessary, but it's easier just to rotate ornaments. That's right, we don't put all of them up - quality, not quantity. 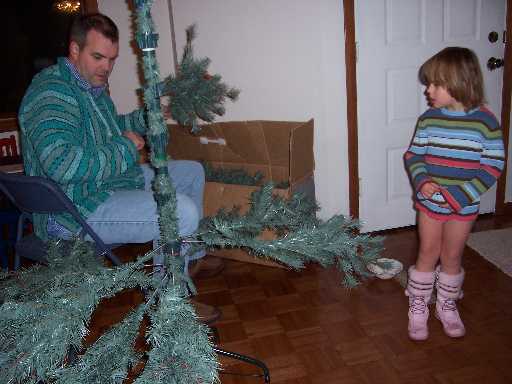 While hanging was done with pants, tree construction was not. At least not for Eryn. You can breath a sigh of relief that I was wearing jeans and my Mexican pullover, not underpants and boots. Christmas weekend requires a healthy supply of cookies. And bunny rides. 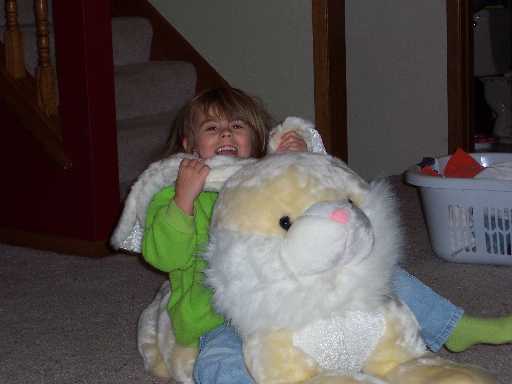 Lots of bunny rides. Look - her socks match her shirt - we're good parents!